Motorola has just started updating the 3rd-gen Motorola Moto G to Android 6.0 Marshmallow. In the past weeks, Motorola has updated most of its 2015 smartphones to the latest version of Android, and now it's time for the latest iteration in the manufacturer's cost-effective Moto G series to receive the same treatment. As seen on previously-updated Moto handsets, Motorola's implementation of Android 6.0 Marshmallow is a near-stock one. As such, the new features are limited to the ones that Google has baked right into the 6.0 version of its mobile operating system. You can head on over to our full Android 6.0 Marshmallow review for a detailed analysis of the latest Android version, but if you just need a refresher, the main new features include granular app permissions, extended support for microSD cards, Now on Tap (basically Google Now on steroids), as well as a new battery-saving Doze mode. Even running Android 5.1 Lollipop, the Motorola Moto G (2015) is considered one of the best value-for-the-money smartphones of the year. The hardware specs include a Qualcomm Snapdragon 410 chipset with a quad-core ARM Cortex-A53 CPU and an Adreno 306GPU, a 13MP primary camera, a 5MP secondary shooter on the front, as well as a 2470mAh battery. In the memory department, the Motorola Moto G (2015) is available in two versions: either 1GB of RAM and 8GB of internal storage or 2GB of RAM and 16GB of integrated storage space. The Android 6.0 Marshmallow update for the 3rd-gen Motorola Moto G - which measures 2GB in size - is rolling as we speak to unlocked units in the US and Canada, with more regions and carrier-branded versions expected to follow shortly. What do you guys think? Does the Motorola Moto G (2015) gain even more weight in the mid-range segment of the market now it is being updated to the latest Android version? in India update still not available ! I've already received the update on Moto G3 sometime back, think the update is in progress for everyone. Me too. 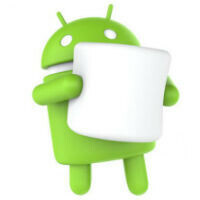 I'm really looking forward to have marshmallow in my fingers! I'm waiting for an update for my Xperia Z3 too. The update weighs in at 426 MB-ish. Wow this is so quick by Motorola. Sony hasn't even started updating to lollipop. Htc just started. Moto update devices quickly; I'm still using my first generation Moto X, running L. Unfortunately, customer service is one of the worst in the industry. Don't buy your devices online, instead go to your local Best Buy. When is Turbo 2 getting it? The phone came out two months ago (M came out in May) and should've been shipped with M but since it didn't it should at least get a timely update. The LG V10 came out around the same time and didn't ship with it either. You don't usually see phones shipping with the newest version of Android until after the first of the year. Because V10 and others had begun development long before Android M was released. So if it were to launch with Marshmallow, it would have taken even more development time, hence delay the device's launching. That was my point, all of these devices that launched within a month or two after Marshmallow dropped were already pretty well set for Lollipop. The reason I brought up the V10 was because it dropped around the same time as the Turbo 2 did and also didn't have MM. The developer preview of M came out in May. The full version didn't release until almost October, which was the same month the Turbo 2 came out. By the time Motorola got the final code for M, the Turbo 2 was only a couple weeks from launch. Don't expect manufacturers to work with an incomplete version of the OS. Hopefully Meizu M2 Note gets Marshmallow in July. Let's see, seeing Chinese phones under $200 with Snap 615 or Hello H10. Reviews all over tech sites! 2016 Moto G is a joke with Snap 415 or 425 processor. Hey Moto, chip more Imp then finger sensor!